Sometimes, organized tours can be dense and boring, with prices that can be excessive for someone traveling on a budget. That’s often why we recommend visiting places on your own, without the help of a tour. However, during our brief time in Porto, we decided to give an organized walking tour a chance. 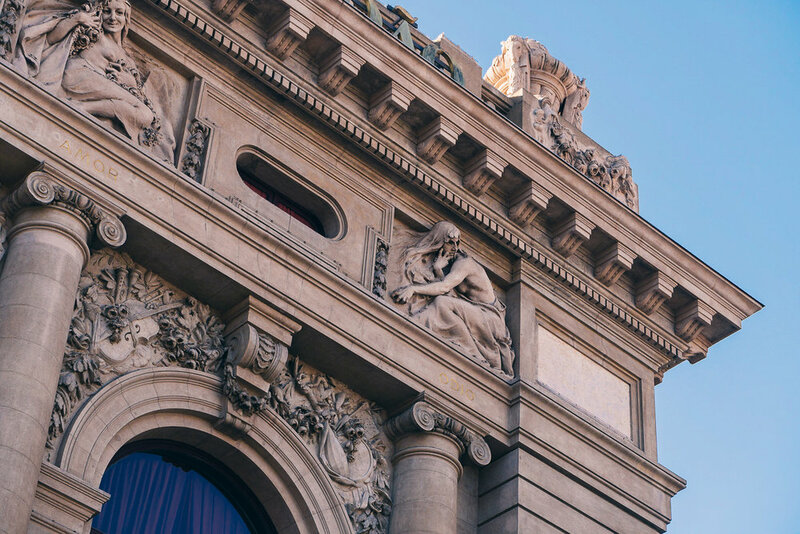 Not just any kind of tour — a free walking tour. 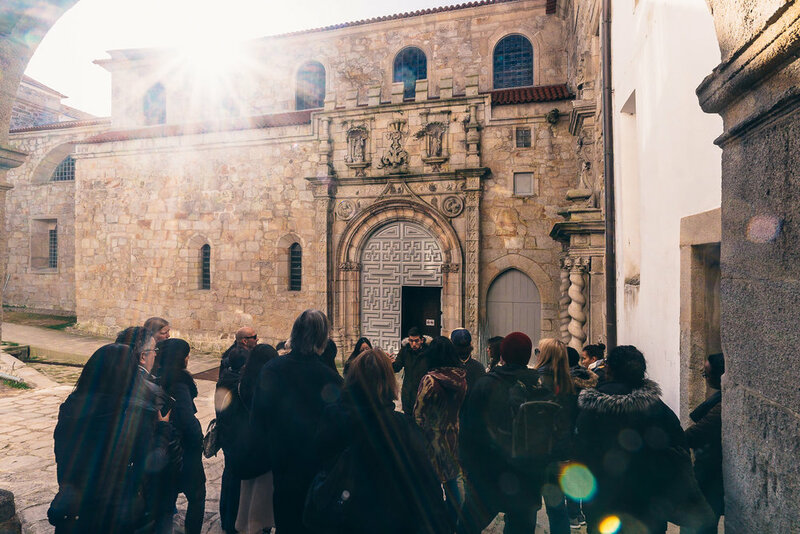 There are several companies all over the world that offer these kinds of free tours, such as “Free Tours by Foot” or “Porto Walkers” (the two companies we’ve used). 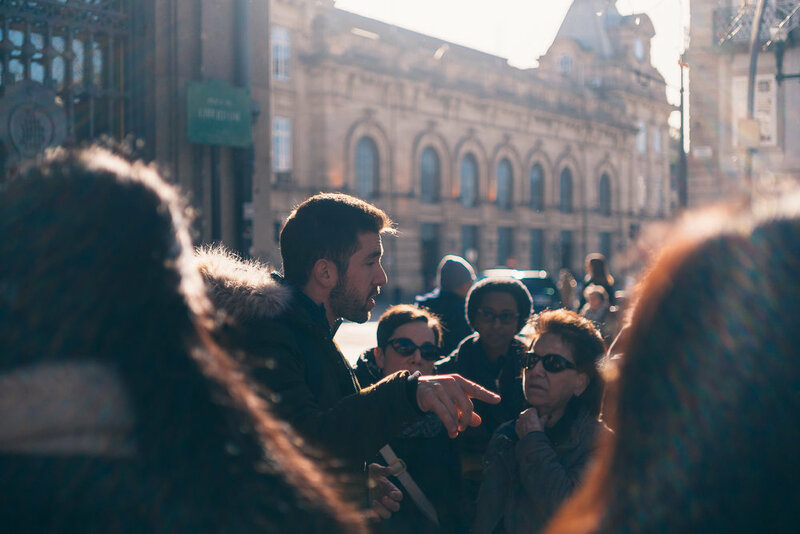 It allows travelers with all kinds of budgets to enjoy the benefits of a guided walking tour, including learning things that give context to the city you’re in, as well as hidden gems and tips coming from a local that wants to help. The length of a tour is typically 2–3 hours, making it a somewhat lighter experience that allows you to learn and experience plenty without getting fatigued. If for any reason you cannot make it to the tour or you need to leave before it ends, you won’t be losing anything! Just remember to let them know that you won’t be able to make it so that they’re not waiting on you. Save time from having to do any of your own research! Researching and learning about big cities can be overwhelming at times, so it helps to have someone give you tons of information on different topics and themes. 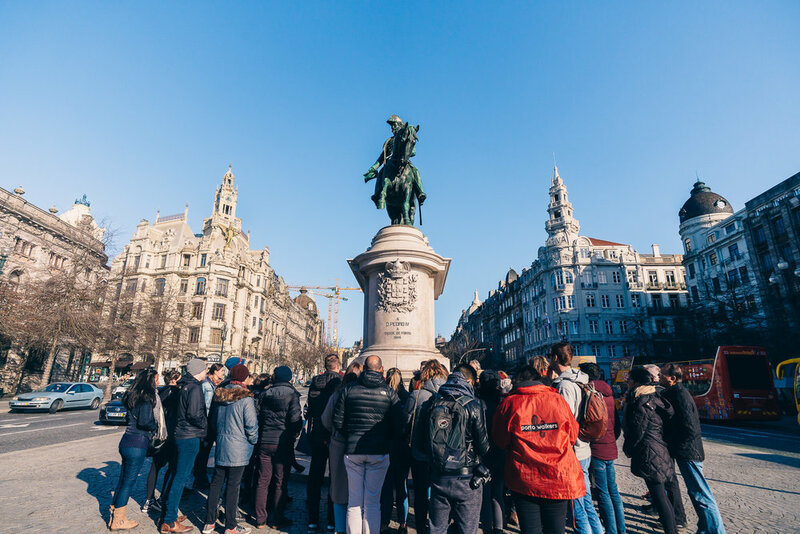 What’s a free, 3-hour Porto Walking Tour look like? 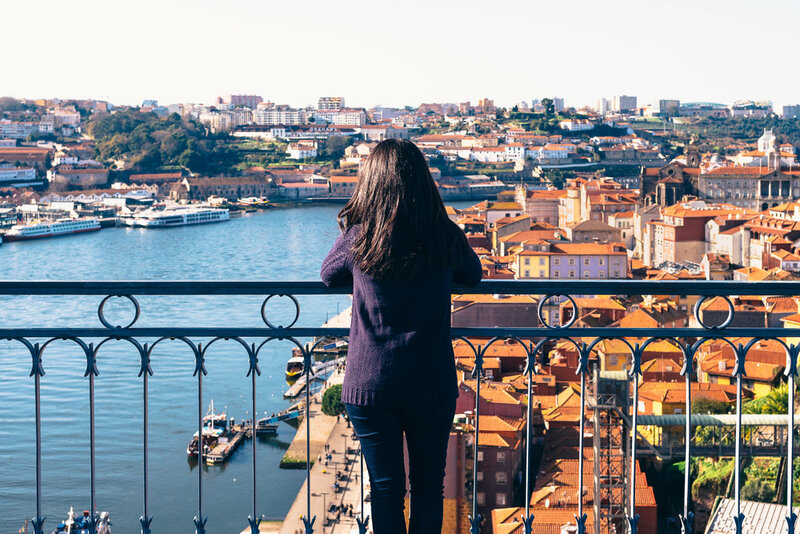 Porto is a city that’s full of history, character, and charm — but you won’t have the same experience if you’re just wandering around without knowing anything about Porto, or where to go. This is where the free walking tour comes in. We started the tour at 10:45 AM, on a sunny and fairly cold winter day, in the Praça da Liberdade. The amount of people waiting for the free Porto walking tour was large enough that we were split into two decently-sized groups. Our guide David presented himself and gave an introduction about how the tour worked before starting with the Sao Bento Railway station in the heart of the city. 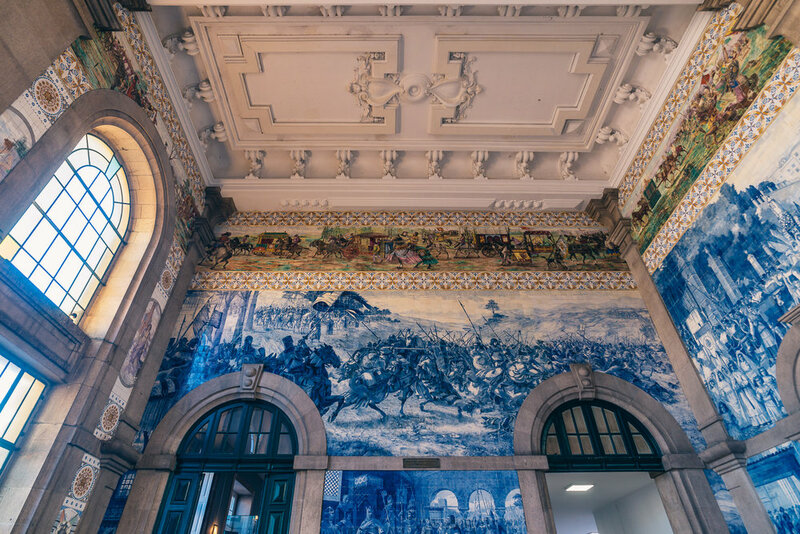 You might recognize this iconic train station because of its famous, decorative white-and-blue tiles lining the entrance/vestibule. And just by following along with the tour, or researching a bit before visiting, you’ll have a much better understanding of the history behind the tiled walls. After a short (but challenging) uphill walk, you make it to the commercial street in Santa Catarina, where your tour guide (a Porto local) will give you genuine cafe and restaurant recommendations. Afterwards, you’ll make it to a few distinct destinations, including Batahla Square, São João National Theatre, and Church of São Francisco, a small church made up of more gold than I’ve ever seen in my life (although it’s currently under renovation). Next to the church-of-gold is a convent that used to house nuns long ago, but is currently home to one of Porto’s police stations. The church-of-gold from outside — the inside was heavily under construction, so we weren’t able to take photos! One of the highlights of the tour is reaching the Dom Luís I Bridge and enjoying the spectacular views of Porto from up top. Here they’ll also let you know that, on the other side of the river, they also guide a (non-free, but very affordable) wine tasting tour. We didn’t do it this time, but it is definitely on our list for when we return! Se Catedral (or Porto Cathedral) is another one of the amazingly memorable view points of the tour, especially when taking into account the perspective of the town from within. 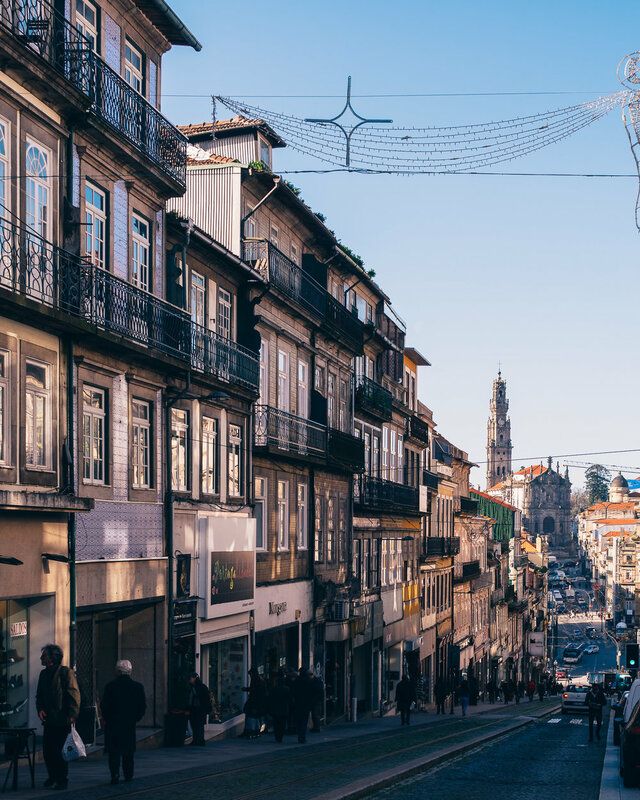 Here they’ll give you the colorful history of the streets along with why so many people erroneously call this city “Oporto” as opposed to “Porto." Descending the tight streets of the Barredo neighborhood, all full of winding stairs, you’ll have plenty of fantastic opportunities to take great photos to take home with you. Along the way, he’ll also recount the sad story of the late sailors in the neighborhood, the widows they left behind, and the Fado (traditional Portuguese songs). Then... you get to what was one of my favorite parts of the tour. Towards the end of the Barredo neighborhood tour, your guide will take you to a minuscule family-owned place that only sells 3 to 4 kinds of handmade sweets. That’s all. We tried Nata du Ceu (a traditional Portuguese dessert made up of egg yolk, whip creme, and fine cookie crumbs) and chocolate mousse that were both to die for (and cost next to nothing! ), and for only 1.50 euro each! 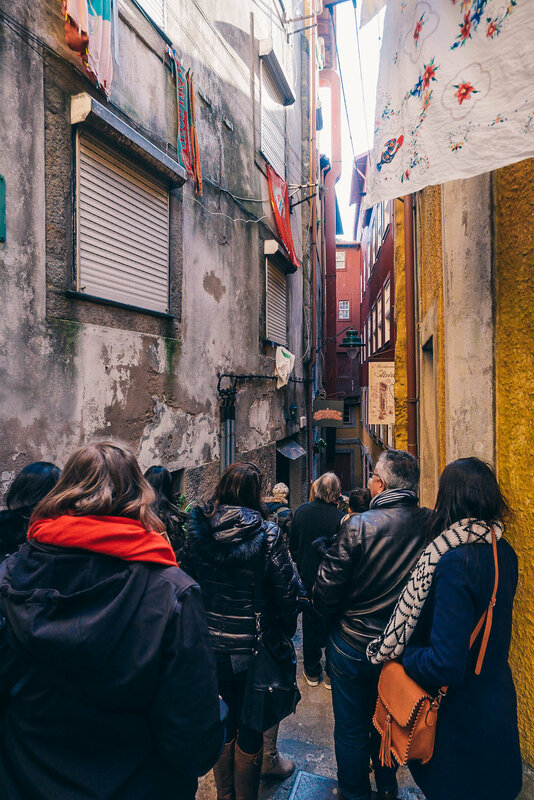 The tour ends at the Ribeira Quarter, the perfect place to have a drink next to the river on a sunny day… but if you want to have a good, local meal, move to any other part of the city. Our guide personally recommended we go to Casa Bragança (Flor de Bragança on Google Maps), a cozy restaurant that’s a 10-minute walk away from Ribeira Quarter. There we were able to eat a delicious and sleep-inducing meal for about 6 euros per person — we’re talking huge plates of fresh seafood! 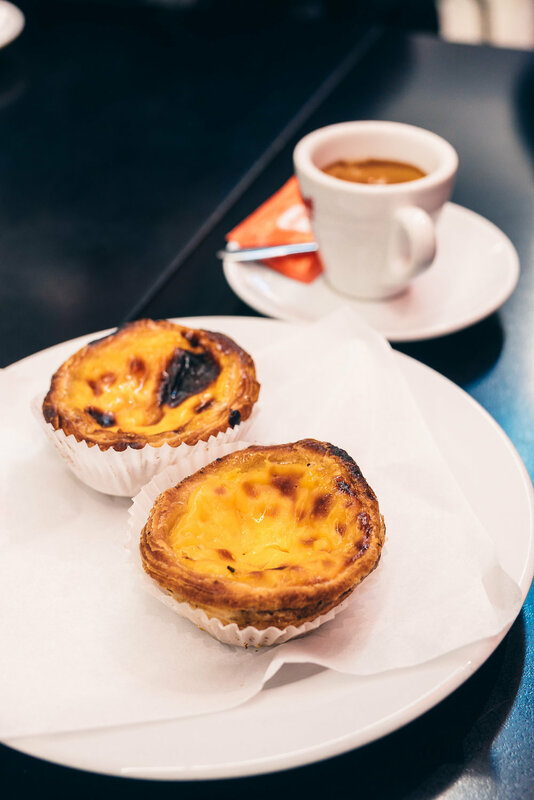 To end the afternoon on your own, look for a local bakery to try Portuguese coffee (and see why it's renowned all over the world) and then try their speciality, pasteis de nata! After this experience, you’ll probably fall in love with the magical city of Porto and you’ll want to go visit again and again (and again).